The setting is a 4779m² garden abundant with mature centuries-old olive trees. 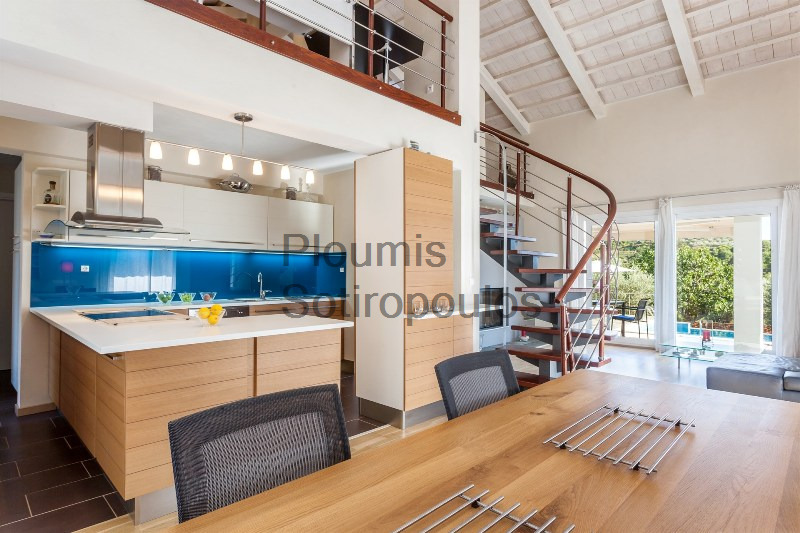 In this haven of tranquility a villa measuring 180m² was built in 2010. The architecture is simple, the design contemporary, and the house blends beautifully with its natural surroundings. Its large reception area has high ceilings and includes a living room, dining room and kitchen all in one open space, with a large fireplace in the centre as the focal point. An artistically-designed staircase leads to an upper level which features a family room/library for movies, games, and get-togethers. Two large bedrooms with ensuite bathrooms, an indoor parking garage, and auxiliary technical and storage rooms complete the indoor spaces. Covered terraces surround the swimming pool and are perfect for alfresco dining and entertaining during the summer months. 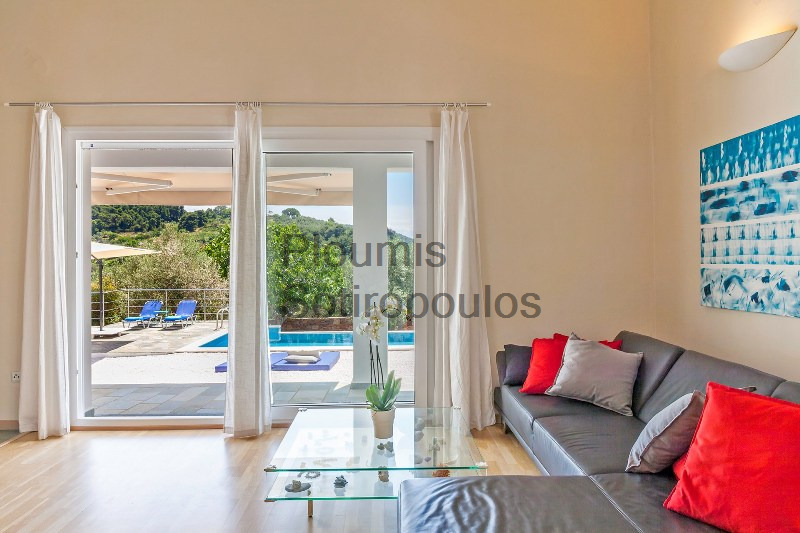 Only 5 kilometers from the town of Skopelos and 4 kilometers from the beach of Limnonari, this exceptional property combines style and nature in an elegant way.